Visitors from Australia! | Carnahan & Sons, Inc.
Last Thursday and Friday, we were honored to host the Hinck Family. They operate a grain farm and cattle ranch near the town of Hyden in Western Australia. Craig and Lauren, with their children Emily and Sam, spent an overnight with us. The kids enjoyed the respite from car seats and airplanes, and they enjoyed the toys we had on hand. Lauren also enjoyed some down-time. 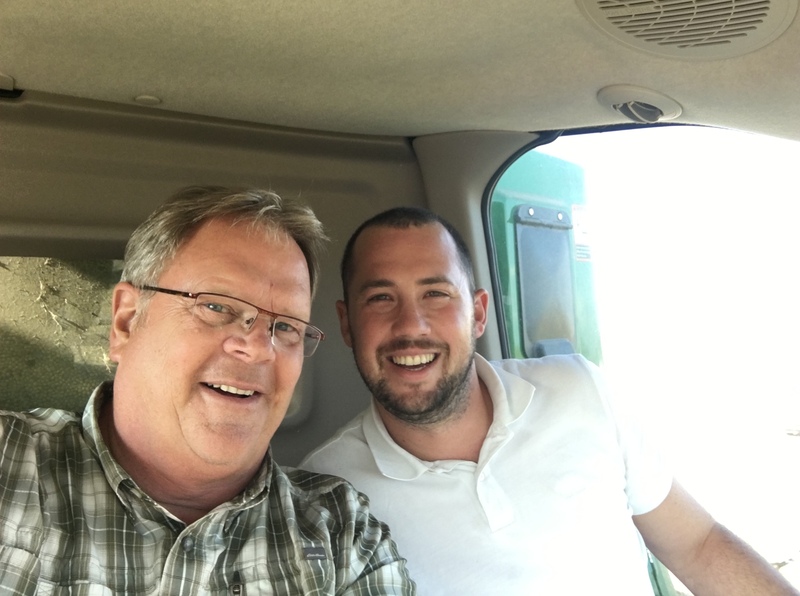 Craig did make a trip out to the field with us at the Crook location to observe our soybean harvest. Of course, being in a combine was nothing new for Craig, but harvesting soybeans was something new. We were part of a couple weeks’ travel for the Hincks. They had traveled to Alberta, Canada the previous weekend for a wedding, and then they continued their travels in the US Midwest. Lauren, Emily, Sam, and Craig Hinck. Craig with me in the combine. 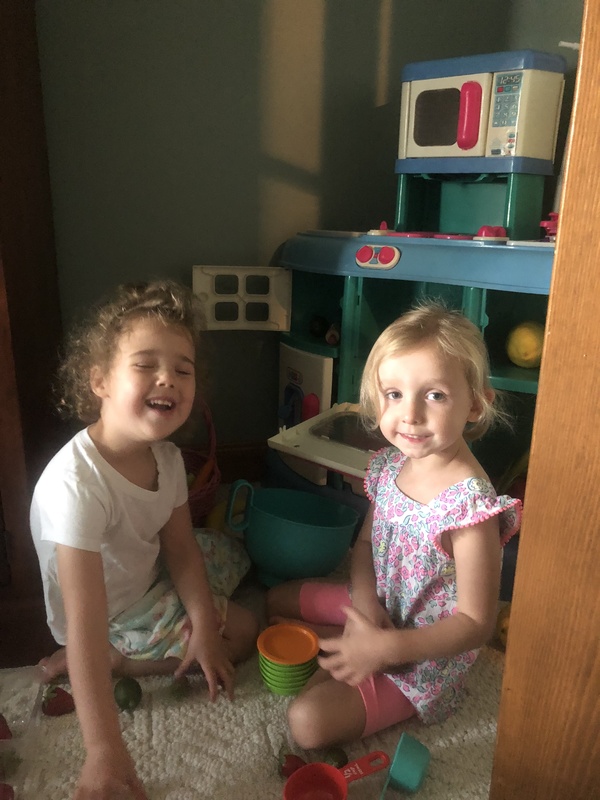 Emily had some play time with our granddaughter Molly. We had become acquainted through Craig’s observation of this website. He visited us briefly last summer. 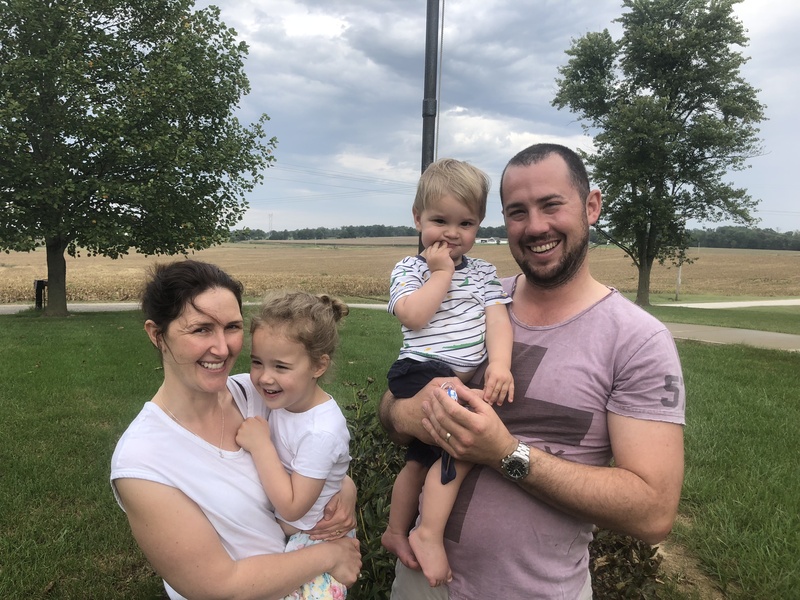 In our situation with our son Philip’s illness last year, we were limited in what we could do for/with him, but we did arrange for Craig to meet some local agricultural leaders. He had a productive day in this area with Troy Clawson, regional Monsanto rep, and with area farmer Don Villwock, a nationally-recognized farm leader. It sure seemed to us that he felt ‘at home’ here, and vowed to return with his family. He did just that last week! Craig is quite a world traveler, and he and Lauren have experienced many places across the globe from Singapore to Italy and many points in between. This was Lauren’s first experience outside a city in the USA, and she seemed relaxed to be in our rural setting. We think they all were. It was a treat to host this wonderful family. I think they are planning on another trip to the Midwest and SWIN next year! This entry was posted in Family Life, Farm Days, News. Bookmark the permalink.